With an ergonomic design, the EVA Cushion turns any surface into a comfortable seat. Like the idea? Let’s keep checking. 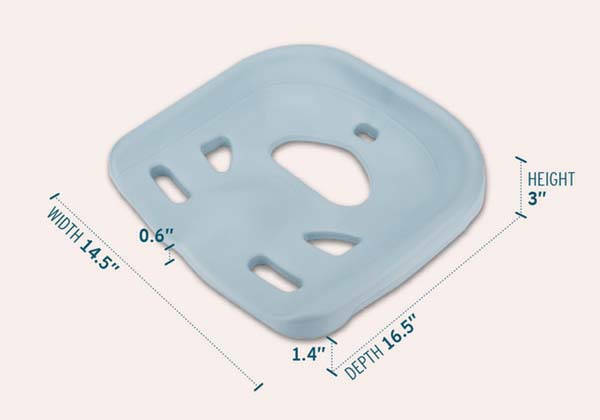 The EVA Cushion is a well-designed and easy-to-use seat cushion that measures 14.5 x 16.5 inches. As we can see from the images, the cushion delivers a compact, flexible and lightweight design so that you can put it in your bag for portability, and the four optional colors bring some vivid aesthetics into your daily life. The EVA Cushion is designed to make any seating surface comfortable and ergonomic fit on any surface. 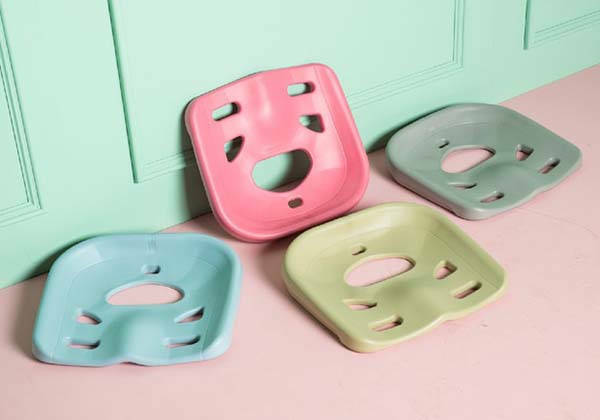 With ergonomic contours, the seat cushion lifts the coccyx to align your posture, while offering the support for your buttox and thighs while sitting, so it always keeps your back straight, shoulders up and ensures your body achieve its natural S-curve for a comfortable and healthy posture. Moreover, its waterproof design prevents water molecule from penetrating into the core of the EVA cushion, and the highly dense and durable material delivers an anti-bacteria exterior. And with a simple wipe, you can keep the cushion surface clean at all times. The team behind EVA Cushion is raising fund for the product on Kickstarter. We can pledge $39 to preorder the ergonomic seat cushion. It will be shipped in August 2019.